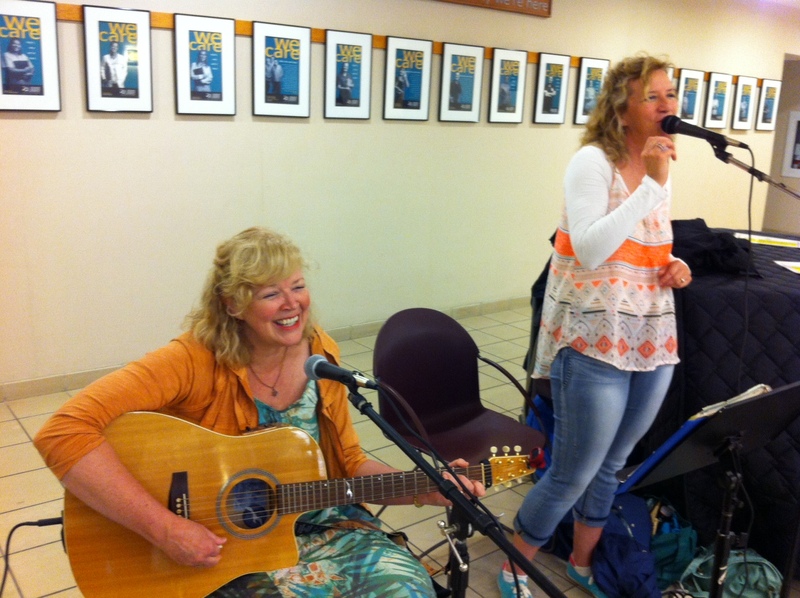 Laura and Mary sing at ‘ Met ‘ . 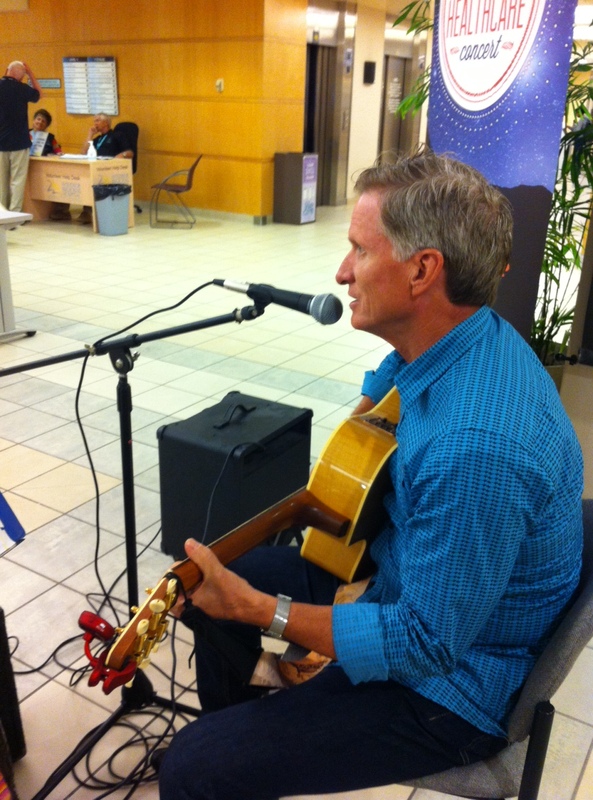 Whenever I can I like to go to care centres in different cities to sing for the folks there : patients, their families, visitors and caregivers. Today was ” Met ” Hospital and it was a very positive experience. It was so much fun to watch the nurses gathering to chat about the tunes ( I was told it was all good…ha ha) , the folks in wheelchairs , smiling, giving us the thumbs up and even the ladies in the gift shop conducting us from afar. The ‘us’ in this case was my sister, MaryAnne East , and my husband, Terry. All three of us took turns on guitar and vocals and we would sing harmonies for each other too. It feels good to bring ” Hope Is ” to folks. I only pray that this wee hour of music could actually bring actual hope to at least one person. We certainly gained much from the experience and I am so happy for this chance.